INDUSTRY.co.id - Jakarta - PT Saka Energi Indonesia (PGN Saka) has approved the first phase of Sidayu field development at Pangkah PSC, East Java, in an effort to continue its exploration commitments. It is estimated that the development can be completed and increase production by the end of 2019. Sidayu Field is a development with shallow water depth (about 15 meters) with four planned production wells, located about seven kilometers from Pangkah main square, where the result will be connected with existing production facilities via subsea pipeline. Following a successful exploration program in Sidayu in early 2017, Planayu Development (POD) will build an additional production platform and several development wells. POD has been approved by SKK Migas at the end of October 2017. After Sidayu, PGN Saka will develop West Pangkah field, where POD has been obtained and is in the process of Final Investment Decision (FID). 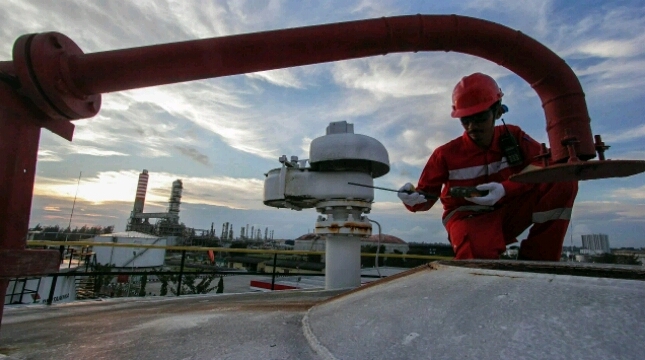 PGN Saka invests to develop Sidayu and West Pangkah field amounting to Rp2.4 trillion in the hope that both fields can increase production in Pangkah PSC reach 12,500 BOPD oil and 90 MMSCFD gas. This project will contribute to the Government of the Republic of Indonesia approximately Rp1, 2 trillion. Consistent with its commitment to support government programs to increase exploration activities in Indonesia, PGN Saka will continue its exploration program at Pangkah PSC and South Sesulu PSC in 2018. The program will include further exploration drilling and testing of two prospects, the Tambakboyo structure at Pangkah PSC and West SIS-A structures at the South Sesulu PSC. "These new development projects will produce much-needed energy for Indonesia's growing economy," said Saka Energi President Tumbur Parlindungan.